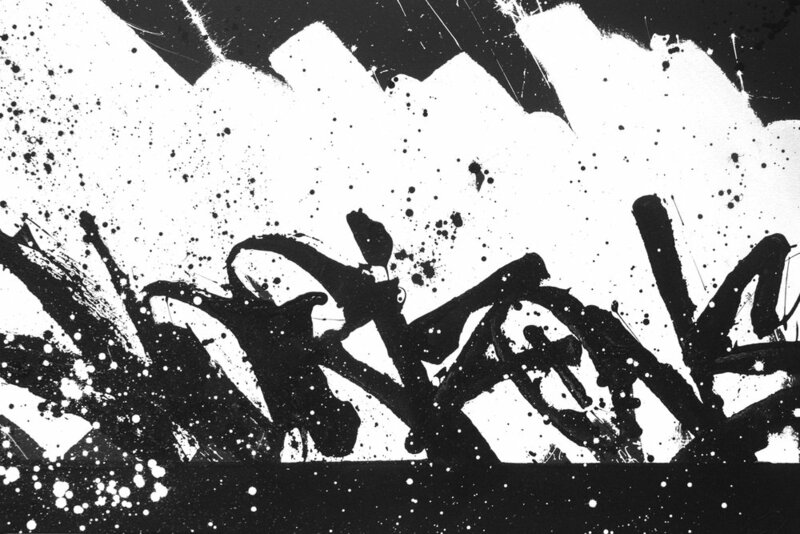 Treason Gallery is pleased to present its May solo exhibition, Bisco Smith: TOMORROWS. The opening reception is being held on Thursday, May 4th from 6pm-9pm during the First Thursday Art Walk in Pioneer Square. Bisco Smith working out of his new studio in Queens, New York debuts a new body of work using his iconic and identifiable abstract style. 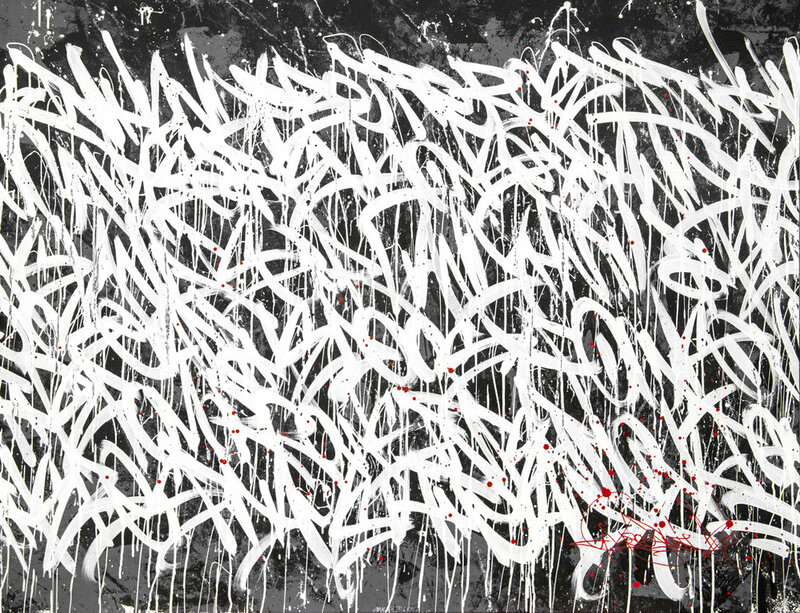 Working with his clash of influences from graffiti and gestural paint strokes, Smith creates emotionally charged works described as a deconstruction of word play and abstraction of letter work. This new body work is the latest evolution of his last exhibition CODE RED, which he described as a reaction to the recent shift in American politics, policies and social ideologies. TOMORROWS was created as a means of looking into the future and his movement towards forward progression, keeping in mind the better and brighter days that tomorrow holds. TOMORROWS will showcase a broad scope of works from mid size and large works on canvas to the use of three dimensional objects. 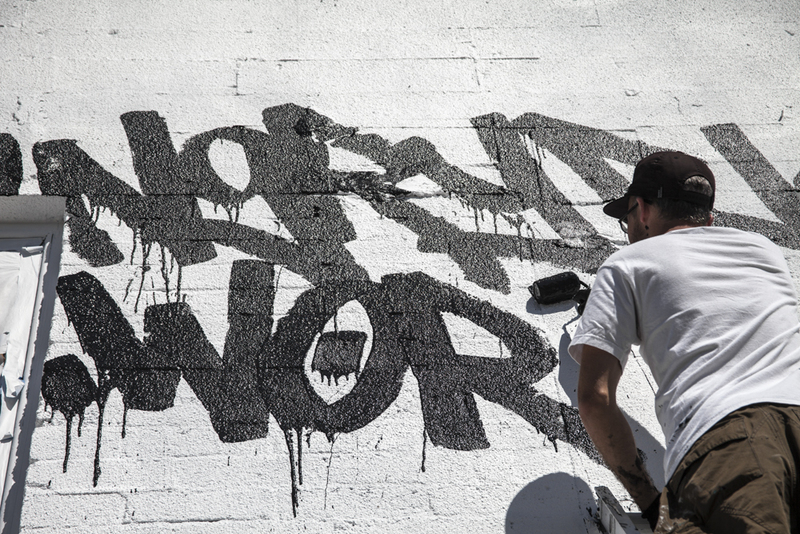 Smith’s work is no stranger to the city of Seattle. Last August, Smith painted a large mural on the roof of the Richmark Label building on Capitol Hill overlooking favorited Cal Anderson park. Describing his process as a use of poetic lyrics, that to onlookers seem to to be painted effortlessly as he goes. His viewers are at times able to transcribe snippets of his large paragraphical works but often the words become a cryptic ledger that serve as the fullness of his compositions. Working almost exclusively in palettes of black and white, until recently with his introduction of red and gold tones into his paintings. Smith’s works are equally captivating and beautiful to all who come in contact with them.